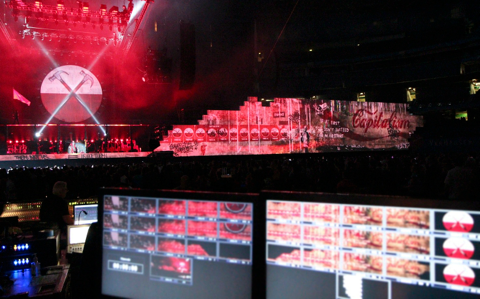 The best live projection show there will ever be. 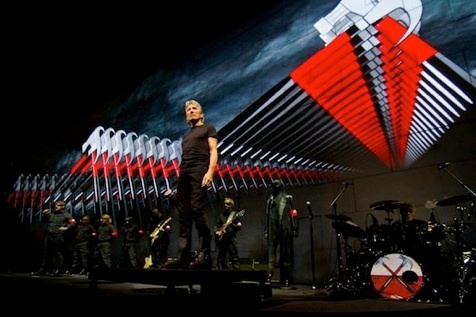 We’re sure of that because whilst others may spend more, or be bigger and brighter, no-one else will ever put the love, thought and attention to detail into a show as Roger Waters has with The Wall. It’s his life’s work; a great mind working for over 30 years on the same piece of communication. The first call on this one came from Creative Director Sean Evans in November 2009 as Richard was passing through New York on tour with Miley Cyrus. Richard had worked with Sean on the Rome premier of Roger’s opera Ca Ira and the MTV VMAs at Radio City. We could draw it, we had the time and Roger wasn’t afraid to spend the money. We specified the video production process. Fortunately Sean and the team at Breathe were not overwhelmed by the 8560 pixel x 1620 pixel resolution that was necessary. They did have to buy a big render farm though! We specified, designed and planned every aspect of the touring hardware… from the truly frame accurate 6 channel HDSDI playback system (including 6 back up channels with seamless switching and live masking for the brick build sequence)… to the custom built projector tripling cradles that enabled the projectors to travel as groups of 3 and facilitated a comfortable 2 hour load-in time… even the revolutionary custom DMX remote controlled shutters built by Tait Technologies that enabled us to perfectly merge the 5 areas of projection with 15 HD 20k projectors in less than 20 minutes. 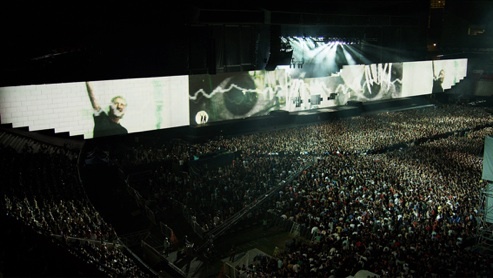 No compromise in any of the design enabled the the largest most accurate touring projection system to work comfortably in a regular touring schedule. 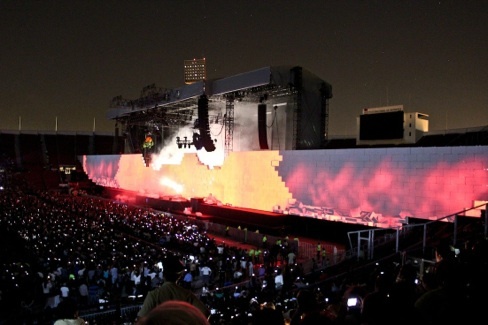 At the end of the 2011 European leg a further upgrade was proposed; outside in stadiums, with a much bigger wall. Again we heard the “it cant be done’s” – but again we made it possible. Another sharp intake of breath at Breathe as the canvas increased to 15200 pixels wide, but again the time and the money was made available to scale up the systems to 10 channel HD playback and 36 projectors FOH. 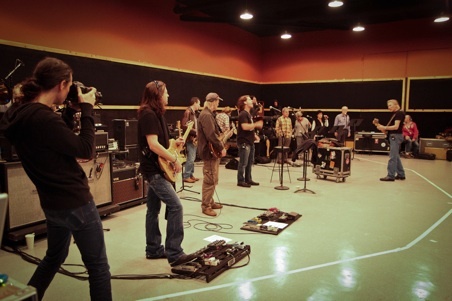 This made the 2012 Australasia/South America/US leg of the tour a sell-out success. 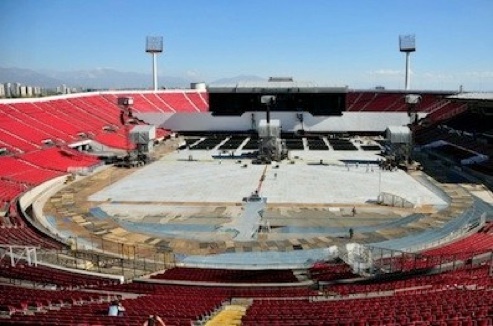 Over half a million people saw the Buenos Aires shows alone. We are superlatively proud to have supplied our expertise and equipment for this landmark tour. It will never be surpassed.